We welcome you to embark on a sensory healing journey together! Top quality oils courtesy of That’s Wellness. All warmly welcomed, no experience needed! This is neither a concert nor a show. We are not here to entertain or please you. This is inner work, an awakening journey that hopefully will evolve to become part of your spiritual transformation. There might be physical tensions/relaxation, mental clarity/confusion, as well as emotional purging/grounding, all phenomenons leading to a more connected, clearer, grounded and peaceful spirit. A gentle reminder that no joy or bliss arrives without first going through storms and efforts; ergo, why not take this opportunity to discover another aspect of yourself while working with like-minded souls? 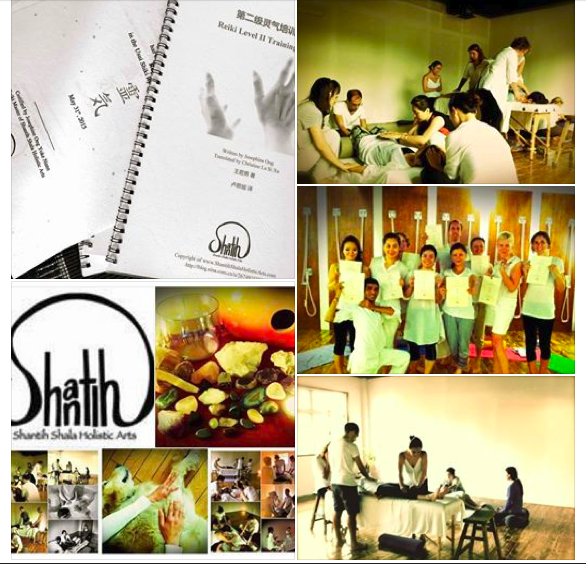 Hence, we warmly invite you to embark on a shamanic healing journey into another world! Reconnect with your inner voice, awaken your inner shaman and just enjoy the adventure! This time we have our special guest Caglar Korun sharing his musical gifts with us! Learn simple and efficient exercises to relax the body, quiet the mind and soothe the soul through Sound/Breath/Movement practices, Energy/Sound/Crystal Healing, Chanting, Meditation, Pranayama and Yoga. We will be energized through healing vibrations from various music instruments and powerful crystals to further assist deep restoration and balance. No experience needed, just bring an open mind and heart! Caglar Korun is an engineer from Turkey who started his music career as a drummer and played in several amateur bands. Recently Caglar is producing his own compositions in various genres combining ethnic styles in a modern fashion. Most songs are composed on the guitar and then transferred to digital media for production. Percussions and the Handpan are his preferences for acoustic performances although the jawharp is still the favorite. Come catch another talented musician in action! Hypnotic, mesmerizing melodies pulsing from the hand pan, jaw harp, Urdu, singing bowls and more; tribal, shamanic beats of various percussions awakening our inner body vibrations as the spirit is empowered; ancient voices sharpens the present while soulful chants seduces the past… Thanks SO much again to Caglar and all those present for another magical evening!! “Thank u again for last night’s sound journey. It was so amazing, I release all the negative & blocked energy that is not serving me anymore. Just this week I start doing the cord cutting meditation to release the energetic attachment I had w/ someone. And the sound journey really helps a lot. No wonder I had this feeling yesterday that I should attend last night activity, that’s why I came to the workshop. The sound was full of good energy & vibration, my body was reacting so wonderfully, though I was shaking but I think it’s part of it. Thank u again to u & Caglar. U r so wonderful people! “Thank you so much. I really enjoyed last night, a lot and like I said, i had been looking forward to it all week. When the music was busy, I got quite upset and cried. I felt a bit ill actually, only because it confirmed how I’ve been feeling recently (chaotic) and a conversation I had with someone recently played over and over. #311, Bldg 3, Lane 200, Tianzhifang, Taikang Lu, Near Sinan Lu. Please contact us for the Early Bird & Bring A Friend Offer! Please contact us for the END & NEW YEAR SPECIAL! Also: Bring A Friend Offer! More info and testimonials please visit the links below. I look forward to work with you soon, namaste! 灵性觉醒? 恐惧、迷惑、犹豫? 被过去绑定? 烦躁不安? 或许你只需要彻底落地、深沉的放松和毫无偏见的倾听? 更多详情和感言请点击以下链接.